At this point I’m as normal as I was, except for the need for naps every two to three hours. So this morning Liz picked me up to head to the public market with our dear friend, Sylvie (who happens to be our fabulous WoW guild mistress extraordinaire). I hadn’t met Sylvie in meat space until this past Thursday when a bunch of us went to dinner. That dinner included in addition to Liz and Sylvie, mein capitan and Dan and Dave. Really fabulous folk. Liz is none of those. And the reason I love Dave is that at the end of the evening, after three hours of talk and cocktails, he said, “Yes. That’s what it was.” I get him. We don’t talk much. We don’t need to. So anyway, Liz and Sylvie and I stand at an imposing 5 feet tall each. 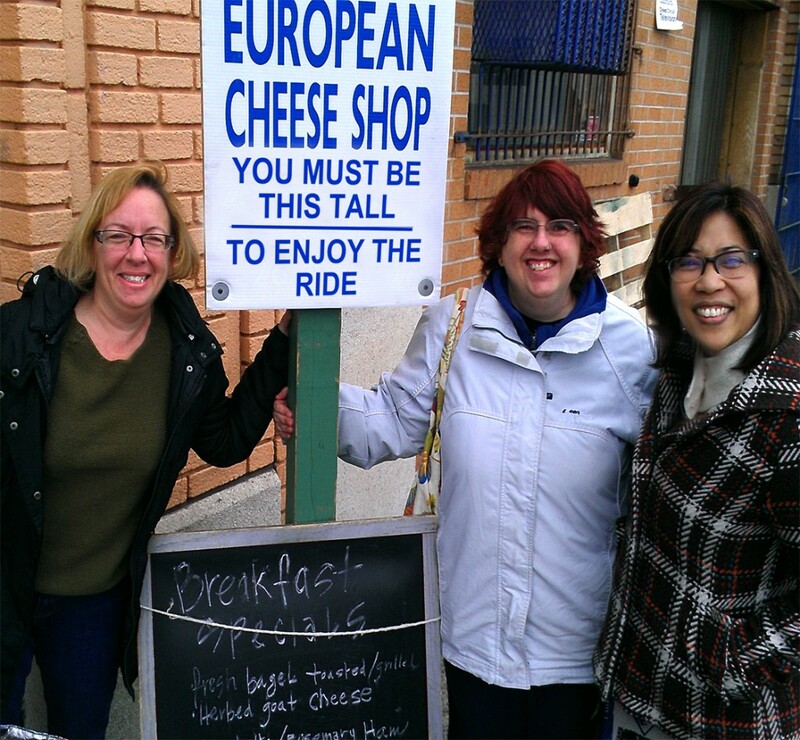 So we went to the market and reveled in our shared vantage…then Dave joined us. (Six foot four?). Yeah. This is a picture of us. The words may have been changed. Other terribly exciting news! Liz came by in the afternoon to accompany me on my first foray into post stroke driving. Apropos to the occasion, our destination was the liquor store. Also apropos, we bought a case of wine plus bourbon for the soon to arrive seester. Driving was easy. I just needed to nap right after.